When you Google best SEO tools, you shall see hundreds of options in front of you which instead of helping you, will confuse you to the point where you will have no other option other than shutting down your computer. Almost everyday people are discovering new tools and to keep up with all of them is not possible so why not only learn about those tools that are useful to you and are going to help you in the long run. SEMRush is considered as one of the best tools when it comes to competitive analysis. You can keep a track of your competitors SEO efforts and check their high ranking keywords and decide upon your own SEO strategy . Along with competitor analysis, SEMRush also provides advertising insights, site audit, position tracking and many other features that can come in very handy. SEMrush is fantastic for gap analysis, allowing you to spy on competitors and see what their most effective organic landing pages are, as well as their top keywords. Being able to chart organic performance over time versus your direct competitors is also highly useful – it’s no exaggeration to say that the SEMrush data I bought to my last job interview helped secure me the job. Majestic is a powerful link analysis tool that crawls the entire web, logs billions of backlinks, and makes the link data available to you. You can use Majestic to download the list of backlinks, to check for referring domains, trust flow, citation flow and topical trust flow, to check the quality of the links. Majestic tool allows me to assess the quality of my current backlinks. I can understand which backlinks are trusted and which are less trusted. I can look at the backlink profile of other websites in my space and try to identify opportunities to get good new links. It is a great overall tool to help me gauge the quality of my links, compare them to the quality of my competitors’ links, and also identify new opportunities for links. Open Site Explorer by Moz is a very efficient tool for link building. Through Open Site Explorer you can create a campaign to track your site’s link profile over time, against competitors and also find new link opportunities. Through fresh web explorer you can find out where you have been mentioned with or without link. Open Site Explorer by SEO Moz is a great tool for effective link-building. When deciding which experts to solicit for a collaborative blog post or when finding sites to sponsor, Open Site Explorer provides domain authority statistics for sites across the Web. Screaming Frog is website crawling software that will crawl any site you specify and return a huge amount of highly useful information. It’s great for discovering duplicate content, 404 errors, internal linking structure etc. 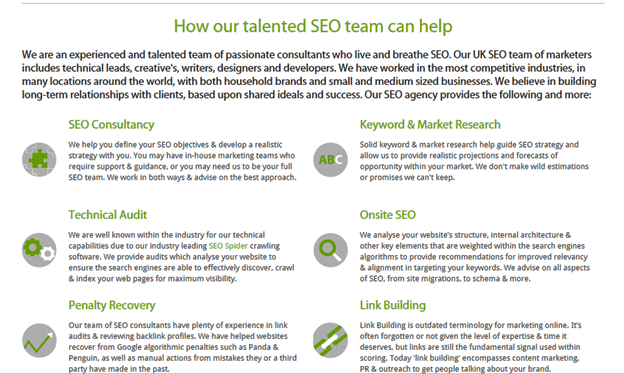 One of my favorite SEO tools has to be Screaming Frog. It crawls all the pages of a website that it can find and makes a note of anything and everything you can think of: page titles, meta descriptions, word counts, h-tags, canonical tags, etc. In line with SEO best practice, it tells you if things like page titles and metadata are too long, too short or if there are duplicates or instances of pages where they are missing. It’s insanely useful and also really reasonably priced at £99 annually (c. $150). •	Discover the most shared content across all social media platforms . •	Find influencers on any topic and review their content. •	Get content alerts whenever someone mentions your keywords in their content. •	Track the performance of your competitor’s content and do detailed research. 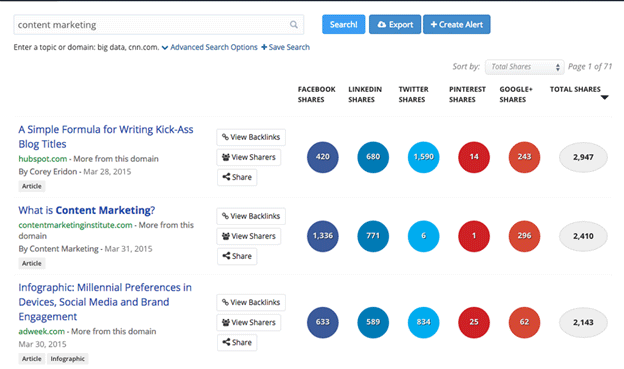 One of my favorite SEO tools is BuzzSumo. I find this tool so great because it quickly and easily lets me see what content is trending around a certain niche, which greatly aids in my content marketing and content creation efforts – both on and off site, which is essential for earning high quality and relevant backlinks. SEO mofo snippet review tool replicates the appearance of a snippet in Google SERPs, which allows SEOs to optimize a page title and description for maximum click-through rate. The main purpose of the SERP Snippet Optimization Tool is to allow webmasters and content publishers to strategically construct page titles and meta description tags that will result in eye-catching listings in Google’s organic search results. Using this tool, you can optimize the content of your titles and snippets to maximize your click-through rate (CTR) from Google. One simple SEO tool I use is the SEO mofo snippet preview tool. This is great for structuring meta titles and meta descriptions and seeing how they will actually look in the Google search results. Being able to preview how your meta data will look is a real time saver. If you are reading this blog about SEO tools then I am quite sure that you already have enough idea about Google Analytics and Google Webmasters. Both of these tools are great reporting tools and give you all the information that you require to conduct your SEO efficiently. Google Analytics helps you to know who is visiting your website, what are they reading whereas Webmasters lets you know about the problems with your website and how you improve them. Search Engine Journal mentioned in one of their articles, “The differences is that Analytics allows you to gather data on your current audience, while Webmaster Tools helps you form strategic campaigns to bring attract new audience prospects. My entire focus is on Google Analytics and Google Webmaster Tools. I no longer spend countless hours at SEO webinars and traveling to SEO conferences. I watch Google’s John Mueller’s weekly Webmaster Broadcast and spend the rest of my time focusing on my products and customers. Google Webmaster Tools and Google Analytics provide all the SEO information required to be successful. •	Get a granular view of a website’s SEO issues. 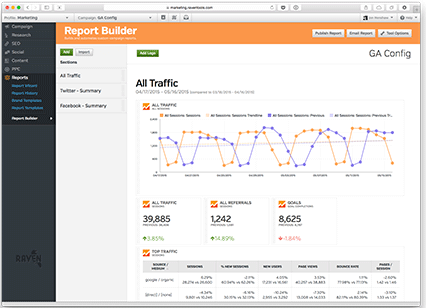 •	Create beautiful, interactive reports in mere seconds. •	Store loads of marketing research data for unlimited reports. •	Organize and store an entire link building campaign for content outreach. Raventools is a great tool for doing audits and it integrates with Google analyics, Adwords and webmaster tools, which gives you a detailed overview of the health of the site – all in one dashboard. If you have a good budget to spend on SEO then you should definitely use SEO tools by MOZ. They provide you with tools for almost everything like rankings, links, content, traffic, website errors, SEO opportunities and many more. You name it and they have it. Firstly, the Moz Pro dashboard itself provides a killer analytics tool set allowing you to quickly gather invaluable information like targeted keyword ranking, link-building opportunities and comparisons with competitors. Moz Local is a local site optimization tool that makes it quick and easy for you to list your site on in of the relevant to make sure that your business is as visible as possible to users on Google Maps, Foursquare and many other locality based platforms. Incorporating the right keywords in your content can take your SEO efforts a long way and to know about these right keywords the best tool is Google Keyword Planner. You enter a keyword or a group of keywords in the search tab and you shall receive all sort of data that you require. It helps you to know about the competition for keywords, average monthly searches and other related keywords. Speaking of Google, the free Keyword Planner tool that is included in the Google Adwords suite is one of the best tools for keyword research, showing not only the search volume for given terms, but also providing a decent picture of how competitive the terms are. Choosing the right SEO tool entirely depends on your requirement and budget. If you are looking for a keyword research tool the you can’t use Majestic and similarly if you are low on your budget, you can’t use SEO Moz. So to get away with confusion, refer the table below and know which tool works best for you. Paid tool- You can purchase the license for 99 pounds. You can crawl upto 500 URLs for free. Structuring SEO titles and meta descriptions. Gives you information about your current audience. Helps you form strategic campaigns to bring or attract new audience prospects. •	Link Research tool – To check how many backlinks your website has. As we said at the beginning, this list is endless with new tools being developed everyday. But if you select the right mix of tools suitable for your brand from the above list, the best of the results are guaranteed. Do let us know about your favorite SEO tools in the comments section below.